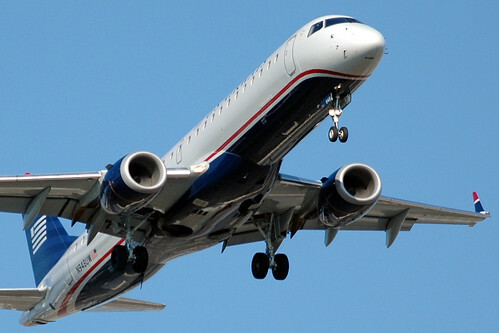 US Airways said Thursday that its passenger revenue per available seat mile rose 11% in December. US Airways also said Thursday that its passenger traffic rose 3.6 percent in December as more people flew to their destinations during the busy holiday season. US Airways also began hiring new pilots this month as the airline industry is expecting a 5% growth that is forecast to last for the foreseeable future. Alaska Air also reported Thursday a 6.2% increase in passenger traffic in December on a 4% increase in seating capacity. This resulted in a 1.8 point increase in load factor to a December record of 87.4%. In response Alaska Air is expected to begin training new pilots hired recently in January. US Airways also said that its fourth-quarter operating performance was the best ever, with a mainline completion factor of 99.4% and an on-time arrival performance of 86.4%. During the quarter, mainline US Airways flights arrived on-time more often than in any other fourth quarter in the airline’s history.